Your search stops here. 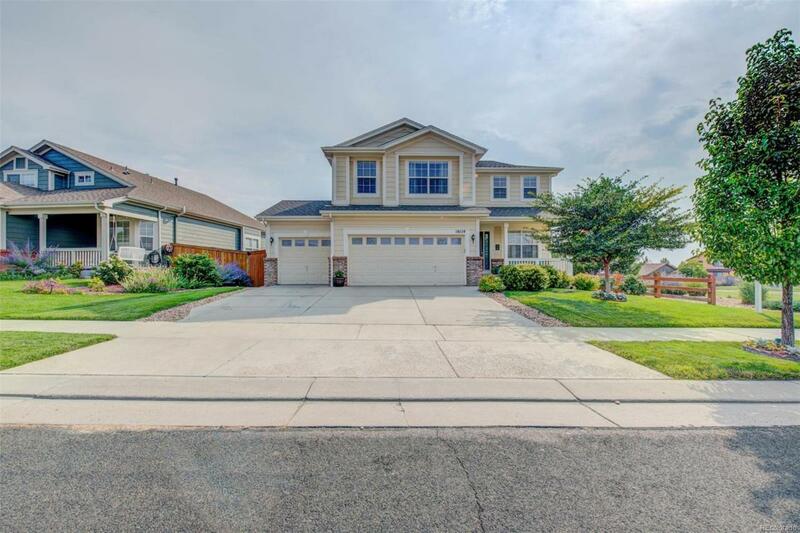 Check out this amazing home in the highly desirable neighborhood of Buffalo Mesa. This is on a premium lot with an open area to the side, mountain views and very close proximity to the pool. You will enjoy the nearby walking trails and parks in the area. Once inside you will see the impressive book shelves in the front room, formal dining area and hard-wood floors. The kitchen is perfect for any chef and opens to the family room. Exit out thru the patio doors to the elevated deck and amazing views. Upstairs has all the bedrooms including the massive master suite with its en suite bath and a large loft area. Notice the newer carpet. Down to the walk-out basement where you will find several open areas ready to be finished to your liking. There is a ton of room in the 3 car garage. Be sure to drive around to see all the area has to offer. Close to DIA. Easy access to Aurora and Denver. Dont wait to see this home.